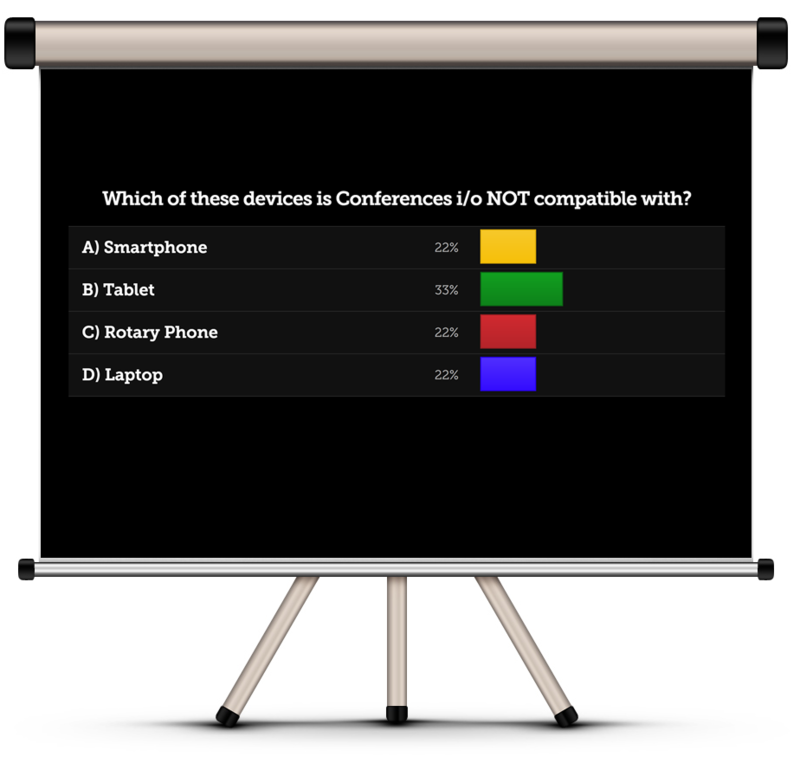 Unlike other engagement tools, Conferences i/o was designed for multi-session conferences, so one of our unique strengths is the ease of implementing the tool at any scale. We make life easy for everyone involved — the organizers, presenters and attendees.  Conference i/o is designed for conferences with multiple tracks / sessions. There’s no limit to the number of sessions you can create, including concurrent sessions. No limit to the number of Administrators or Moderators. 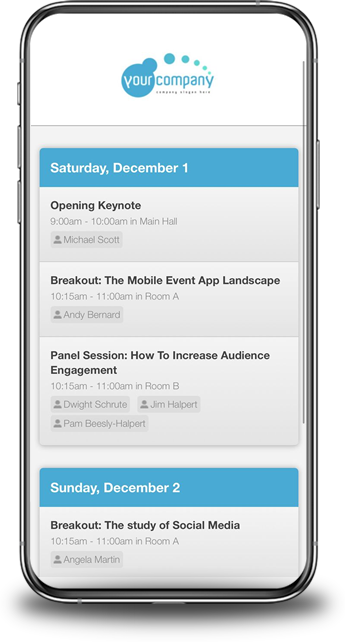 It’s easy to integrate Conferences i/o into your mobile event app for a seamless attendee experience.  Attendees who don’t have the mobile app can still participate by going directly to Conferences i/o. The thought of live audience polling makes many organizers (and presenters) start to sweat. Implementing a polling solution can be a major headache. 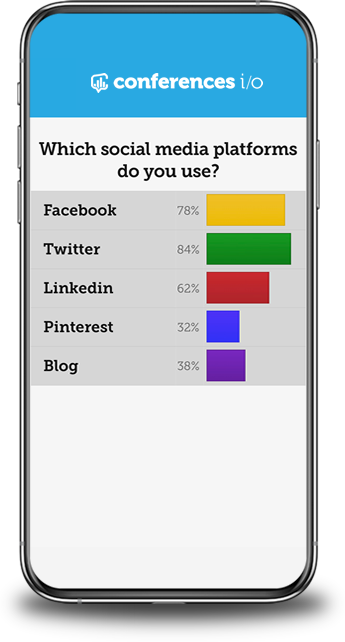 Whether you want your presenters to be responsible for setting up their polls or your team manages it for them, we have the functionality designed to make the setup/implementation process as efficient and painless as possible. 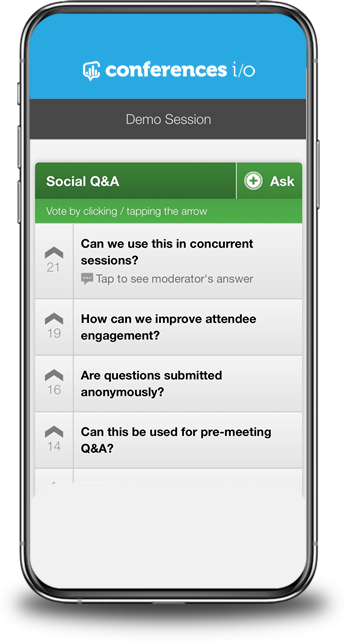 Polls are instantly pushed to attendee devices and results are displayed beautifully on stage in real-time (or kept hidden). Presenters have full control of when and where results are displayed. 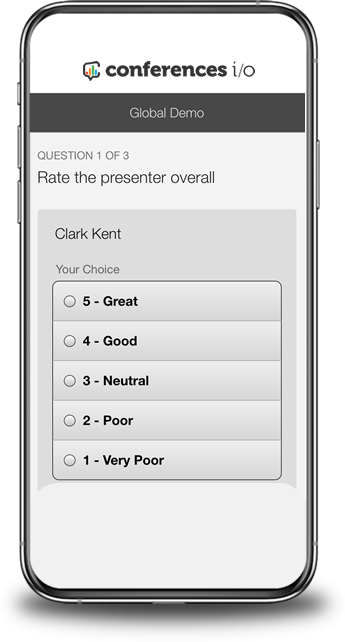 We offer a powerful set of polling formats: multiple-choice, open-ended, quiz questions, pre-post comparisons and more. Reporting is accessible in seconds with the click of a button. Session Reports (XLS) include polling data, polling charts, and Q&A. 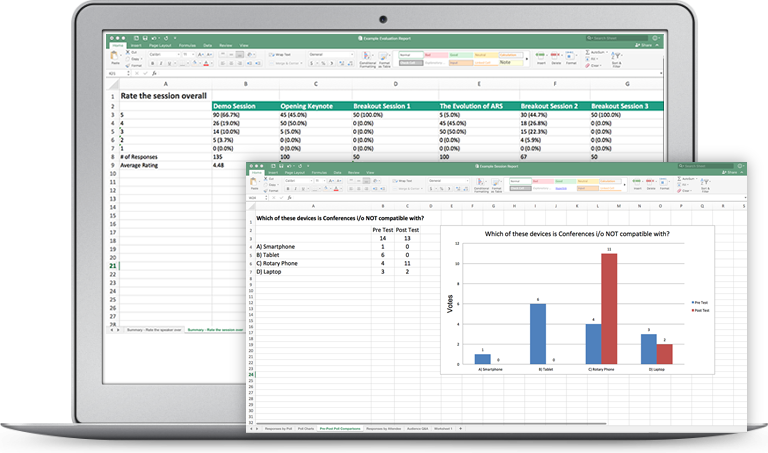 Session evaluation report allows you to view the data across all session. More Engagement = More Satisfied Attendees. Easy to implement and seamless for your presenters. Higher response rates and more accurate session evaluation data. Presenters enjoy polling and Q&A without using a moderator or technician. Interactive and engaging presentations lead to favorable ratings on session evaluation surveys. 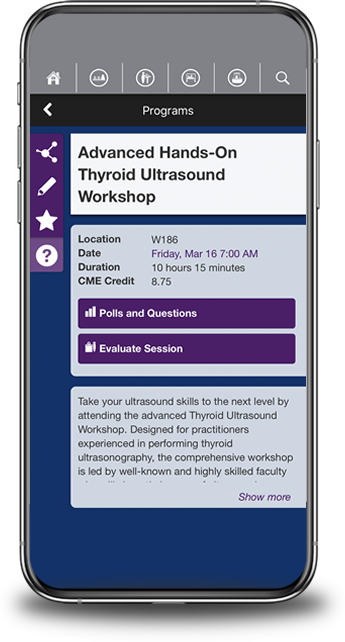 Attendees participate in seconds without the hassle of downloading an app. Active engagement versus passive listening results in more effective learning.